Windows 10 clean install will wipe out all the data. 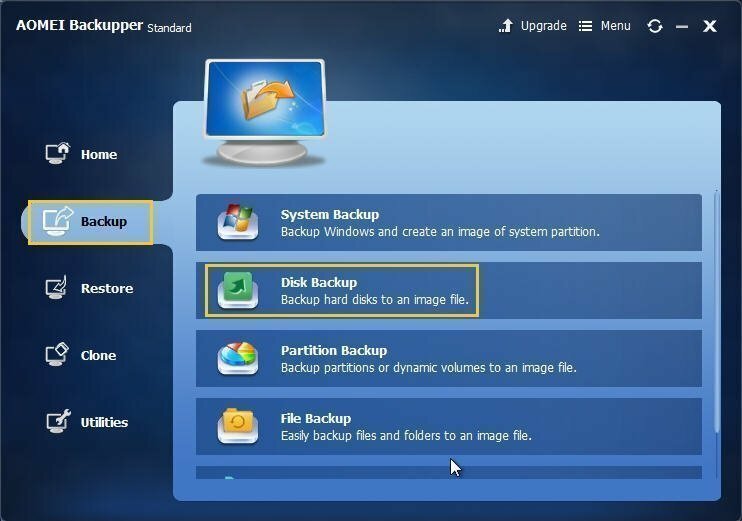 The best way to keep data safe is backup Windows 7/8 computer before clean install Windows 10. What is the clean install? A clean install is an Operating System installation which will remove the current Windows Operating System and user files during the installation process. Besides, all the data on the system hard disk will be wiped out. When a clean install finished, the hard disk only contains the new version of the Windows Operating System. In some conditions, you may want to upgrade your Windows 7 to the latest Windows 10, and you can easily perform a standard "Upgrade and Install" to do this upgrade. However, the Operating System may not be possible to upgrade because of the essential files missing sometimes. What could you do? At this moment, a Windows 10 clean install could be the best option to make the problem on your previous OS disappeared which could be affected by the newly installed Operating System. So, it’s extremely important to backup computer before clean install Windows 10. How to backup files before Windows 10 clean install? As we all known, Windows 10 has its built-in backup program - File History. However, File History only backup files in the Desktop, Contacts, Favorites and Libraries folder. Moreover, Windows 10 built-in backup program cannot restore individual file from the image file and cannot clone data. Thus, if you want to backup other files, like music files, program files, work files etc. you may consider using other tools to backup. Compared with other backup software, AOMEI Backupper is the best image tool in Window 10/8/7 which is more flexible to use and highly recommended by users because of its intuitive interface. 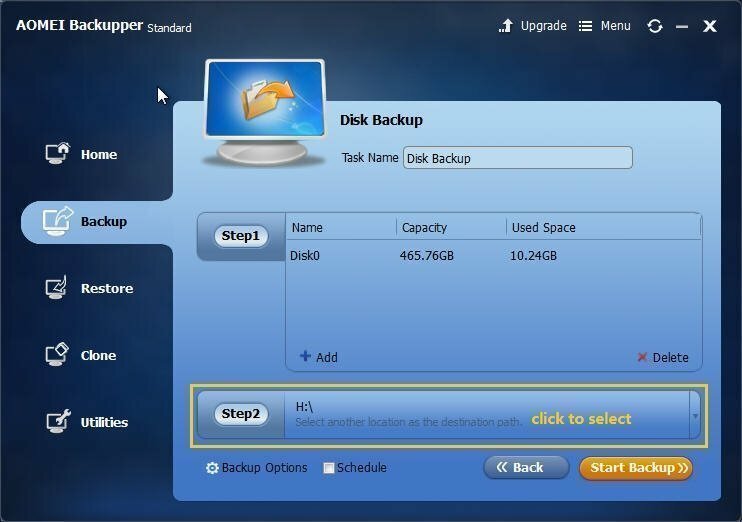 On the one hand, AOMEI Backupper provides many functions to backup files on the hard disk, like system backup, partition backup, disk backup, and disk clone, system restore and more. On the other hand, it can backup data regularly with the "Schedule" feature. To make clean install Windows 10 keep files, you should backup computer before clean install Windows 10. 1. Download AOMEI Backupper and launch it. On the main window, select “Backup”->”Disk Backup”. 2. Type a name in “Task Name” box (here is Disk backup). 3. In the “Step1”, click the button to select the disks you want to backup (here is Disk 0). 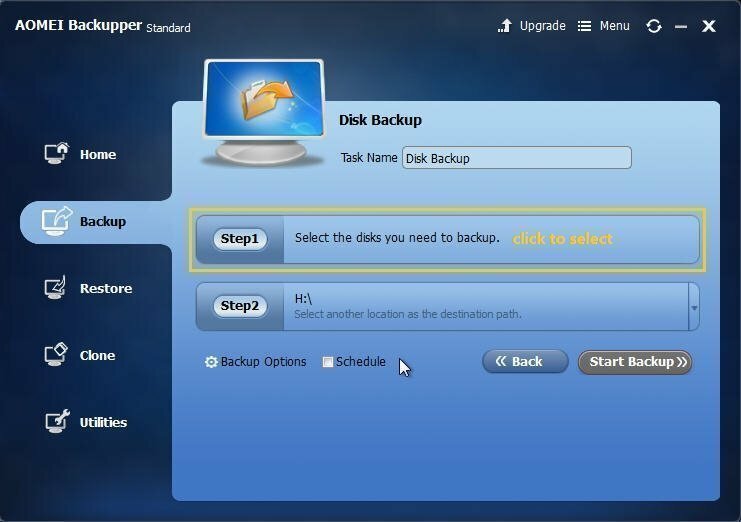 Tips: At this step, you must pay attention to the condition that you could select multiple disks to backup. 4. In the “Step2”, click the button to select the destination to save the image file (here is I partition). You can also choose external hard disk, NAS device, network share, USB flash drive as destination. 5. Press “Start Backup” to image hard disk. After these operations, you can perform Windows 10 clean install without losing data. Additionally, when Windows 10 clean install finished, you could restore the data of hard disk to use it.